The order in which they are listed corresponds to the order of their use. You can change that by using the green up and down arrows to the right of the list. 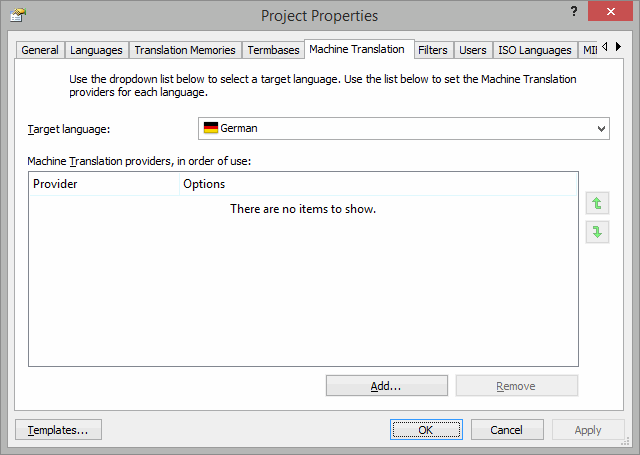 You can select all languages, to add the same Machine Translation engine to all target languages in the project. Be aware that doing this will overwrite all the individual settings fro each target language. and then selecting the Machine Translation tab. 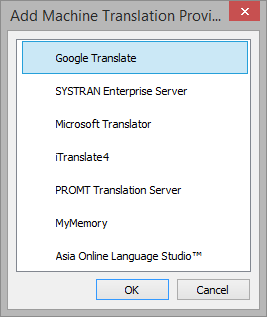 Click on the name of the Machine Translation engine you want to add. A dialog window will appear where you can enter the credentials Déjà Vu X3 needs to use the engine. Click OK when you are done. The engine will be added to the project. 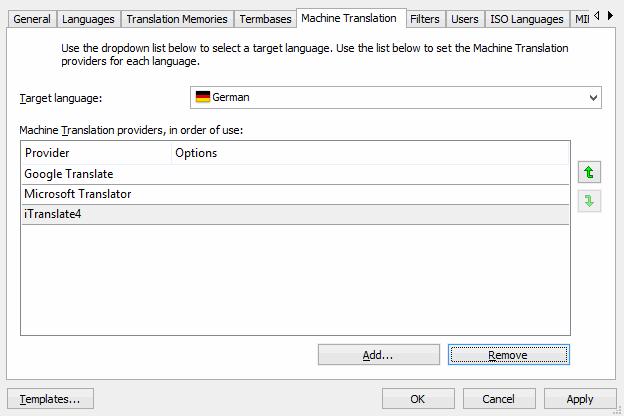 Select as many of the desired Machine Translation engines as you would like and enter the necessary credentials for each (you will only have to do this once, unless you need to change the credentials). 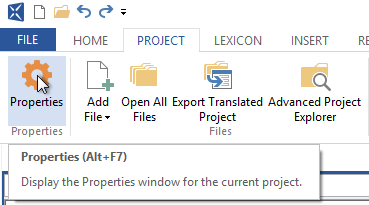 Click OK or Apply, to confirm the changes made to the project.